Various US-based media outlets have suggested that US President Donald Trump intends to withdraw from the military alliance. In particular, Trump made headlines last year after reportedly hinting that he could order a departure from the defense bloc at any time and without congressional approval. The New York Times reported Monday, citing unnamed senior US administration officials, that a Trump move to leave NATO would spur a total breakdown of the military alliance established almost 70 years ago. Since taking office in January 2017, Trump has repeatedly pressed other NATO member states to meet their annual defense spending obligations within the alliance. 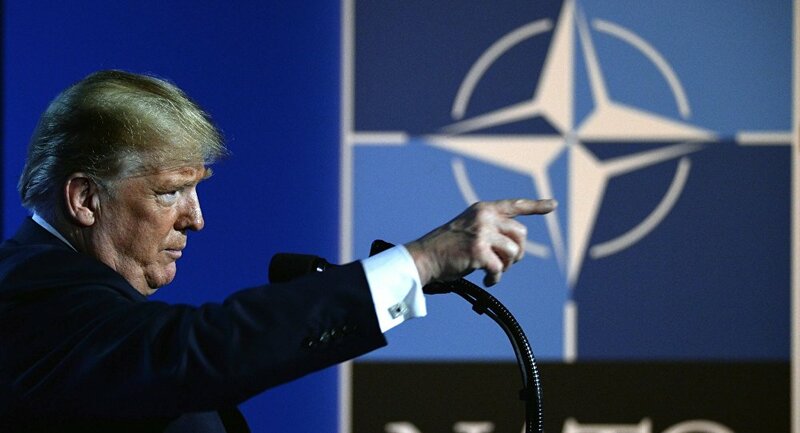 Trump has called NATO obsolete, but walked back his comment after an alliance summit in Brussels in July 2018 stating that NATO was becoming strong again because of his efforts to hold member states accountable with respect to their defense spending commitments. The US president's statements have sparked a backlash among US lawmakers, who argue that Trump should display more commitment toward European allies in light of what they describe as growing threats from Russia, China, and other countries. Sputnik discussed the issue with Dutch political activist Anneke de Laaf. Sputnik: According to the media reports, Trump does not see the point of the alliance. In your view, how essential is the organization nowadays? Anneke de Laaf: Trump doesn’t always seem aware of what NATO actually is. NATO is not some foreign institute the US decided to join at some point, it is the US created and controlled organization, created and maintained for the specific purpose of the US dominance over Europe — and increasingly Eurasia, where those dominated share in the costs (both monetary and in soldiers' lives). This setup has the added advantage that Washington gets to set standards for military hardware, which enables them to dominate the arms market for all NATO (-alligned) countries. Considering the importance of the military industrial complex for the US economy, plus the strategic stature NATO brings Washington, I would conclude that NATO is very essential to the US. But not necessarily to the other members, who do not share in any of the abovementioned benefits and who could probably make far more cost effective arrangements for their strategic defense (the supposed purpose of NATO) themselves, with the added advantage of regaining sovereignty, eg. over nuclear weapons on their territory. With all the economic relations, we have few traditional enemies to combat. Sputnik: In your view, how can Trump’s alleged call for pulling the US out of NATO impact the EU’s reliance on Washington as an ally? 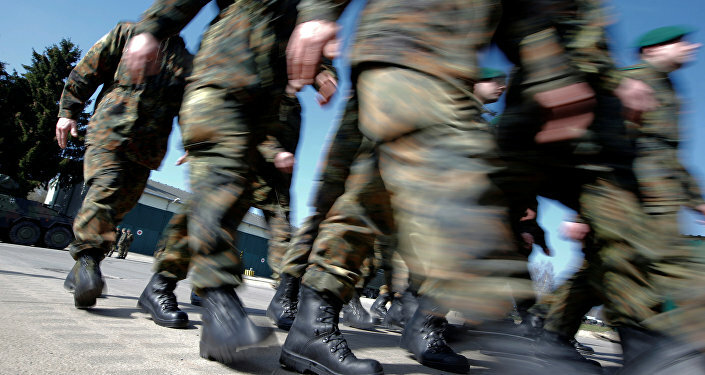 How achievable is it for Europe to be less dependent on the US in terms of defense? Anneke de Laaf: As the US is the creator of NATO, a pull out is not the issue, we should talk instead of a dismanteling. Such a dismanteling would have an impact, at least temporarily, for employment. Anyone looking at the NATO website can see what “full spectrum dominance” looks like, there’s not just the headquarters and armies, there are all sorts of offices and consultancy agencies and educational offices stationed throughout the NATO (-aligned) territory. That’s a lot of jobs and no doubt the EU would have difficulties initially compensating for the change. As for relying on Washington as a partner, do we need such a dominating partner? For many centuries before Washington took over, European nations were perfectly capable of arranging for their own defense and forming strategic alliances, there’s no reason to suppose we would not be able to do so now. In this respect I support the initiative of forming an alliance between the various sovereign European armies. But I do not suppose for a moment that Washington will allow such a development. This is another reason why NATO will remain in place. Sputnik: Trump has previously called on NATO members to increase their defence spending into the bloc. Do you think this report will push European allies to actually do this? Or will they be more interested in creating a so-called European army? Anneke de Laaf: Yes. That’s what this is all about: to scare the weakened EU leaders into paying more. Trump may well succeed. Presently the EU leaders are too divided on the issue. This may change after the next round of elections, we will see. Views and opinions expressed in this article are those of Anneke de Laaf and do not necessarily reflect those of Sputnik. US Exiting NATO May Not Be So Bad - American University Prof.